Hello Gorgeous! 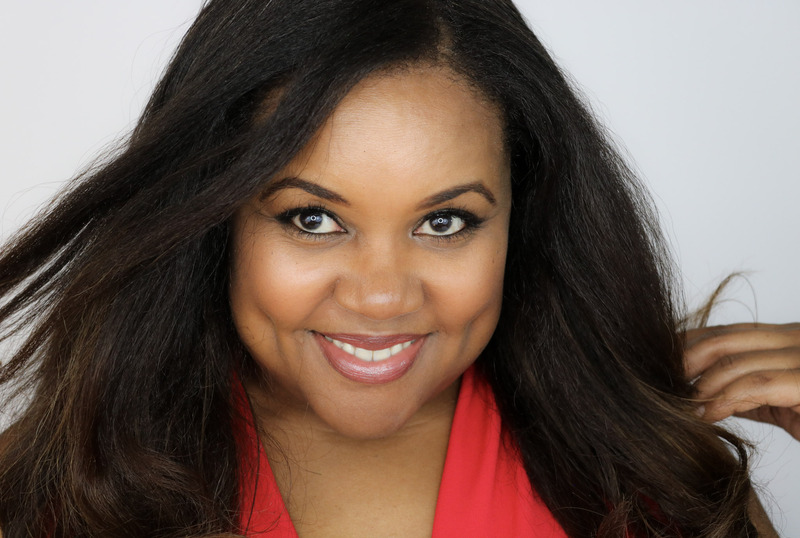 Today, I thought I’d answer a reader’s request for my beauty routine and share the ins and outs of how I care for my skin. As you may know, I am a true product junkie and I love trying new stuff but I don’t do much experimenting with skincare because I’ve found some products that really work for me and I’m not one to mess with a good thing. Not too much anyway. And full disclosure, I’ve always had ‘good skin’ but it’s only because I’ve got good genes–thanks mom and dad. So in this regard, everything I do in caring for my face is just an attempt to protect what my mama gave me. So let’s get to it. For me, good skincare is pretty simple. Keep your face properly cleansed and moisturized and throw in a special treatment every now and again for good measure. For cleansing, I use Bliss Clog Dissolving Cleansing Milk. I have sensitive (sometimes dry) skin and I can’t use foaming products on my face, which means I’m relegated to cream or ‘milk’ cleansers. 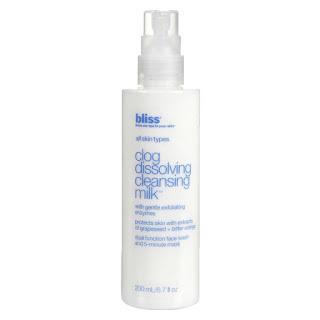 The Bliss cleansing milk leaves my face feeling clean and smooth without any dryness and as an added bonus, it can also be used as a quick mask. Who doesn’t love a product that does double duty? For a daily moisturizer, I’ve used Peter Thomas Roth Ultra-lite Oil-free Sunblock SPF 30 for several years. 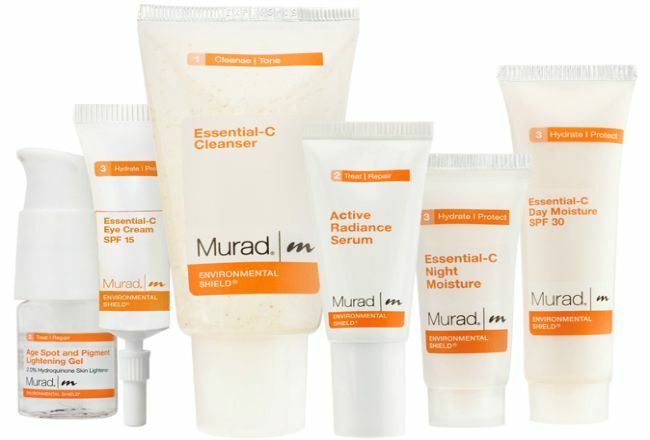 Oil-free products are essential for me because they’re less likely to clog pores. Clogged pores lead to breakouts and my breakouts always leave discoloration behind. This, I cannot abide! So I wear the PTR year round except for in the summer when I switch to a moisturizer with a lower SPF. I know, I know. Why would I lower my SPF in the summer when the sun is stronger? Because. I like to get a little color in the summertime and I can’t do that with SPF 30 slathered on my cheeks. Judge me if you want but just don’t tell my aesthetician! Which leads me to my summertime moisturizer. This year I’m going with Black Opal Even True Nutritive Skin Moisturizer Broad Spectrum SPF 15. This moisturizer manages to be both lightweight and creamy. 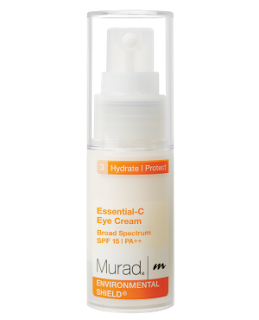 It’s designed to help brighten skin tone and gently treat hyper-pigmentation (dark spots) which as I said earlier, is a bit of a problem for me. I don’t usually go for products that are fragranced, again because of my sensitive skin, but the fragrance in Black Opal products is minimal and it’s quite pleasing. 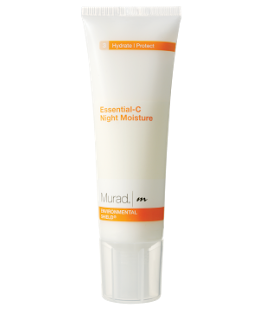 At night, if I’m not super tired or feeling lazy, I cleanse with the Bliss and then moisturize with Murad Essential-C Night Moisture and Essential-C Eye Cream. I don’t know what it is, but something about completing a nightly beauty routine makes me feel yummy and well cared for. It’s all about the self-care! 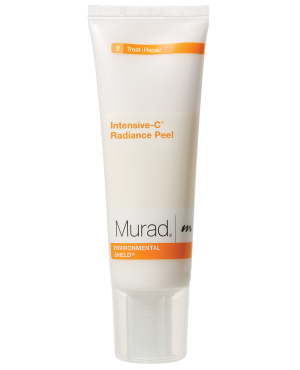 And finally, every seven to ten days I treat myself to a little extra moisture and exfoliation with Murad Intensive-C Radiance Peel. This peel is ah-mazing and I HIGHLY recommend it! It gently sloughs off every bit of dry/dead skin and leaves my skin feeling supple and looking bright. Every time I do a peel, I get comments on how great my skin looks. No joke. It’s the best over the counter peel I’ve ever used! That’s it for products! See, really simple. But, I would be remiss if I didn’t mention my efforts to stay well hydrated inside and out. Water, water and more water. I always have a bottle with me as my lips are the first to inform me when I haven’t been drinking enough water. Dry, chapped and, oh you don’t want to know about it. Also during the dryer months, I sleep with a humidifier to avoid waking with a dry face and a crackly, dry voice. Gotta get my fa-la-lahs on you know! So that’s my beauty routine. Not a lot of hoo-haa involved at all. What do you use on your skin? Any tried and true products you just can’t live without? Do tell in the comments below! Thanks for reading! Thanks for sharing! You are so beautiful & letting us into your secrets is very kind. You have a great blog! Lots of love to you. Thanks Lisa! And thanks for stopping by. Thanks for sharing, i will pass this onto my wife, who is always on the lookout! Fantastic! Thank you! I'm sure she'll find something she likes. Great products! It seems I can't use the same products for a time because my skin gets use to it and I start to have problems with break outs and such, I wish I could stick to the same thing that would make my routine so much easier…ha! Oh that's terrible. Sounds like you have sensitive skin and sometimes, less is more. Yeah, but it's like working out. When you don't do it, you really feel the difference! I think I need to give these a go… for some reason my skin has broken out the past week and I am suspicious that it's sensitivity to a moisturizer. Look for an oil-free moisturizer if you're prone to breakouts. The PTR is a good one. Hey Lloyd, maybe I'll do a post for skincare products for men. Hmmm! sounds like quite a routine! These products sound great, I haven't heard of any of them. I love over the counter peels. That make my skin look and feel so healthy. I will have to try yours! Oil free sun block seems to be a good one since this would be non-sticky. I haven't tried most of those products but they look effective! I must admit I've been very lazy when it comes to "taking care of myself." As you show us, it's really not that hard or time consuming. Sounds like great products! I'll have to check some of them out!